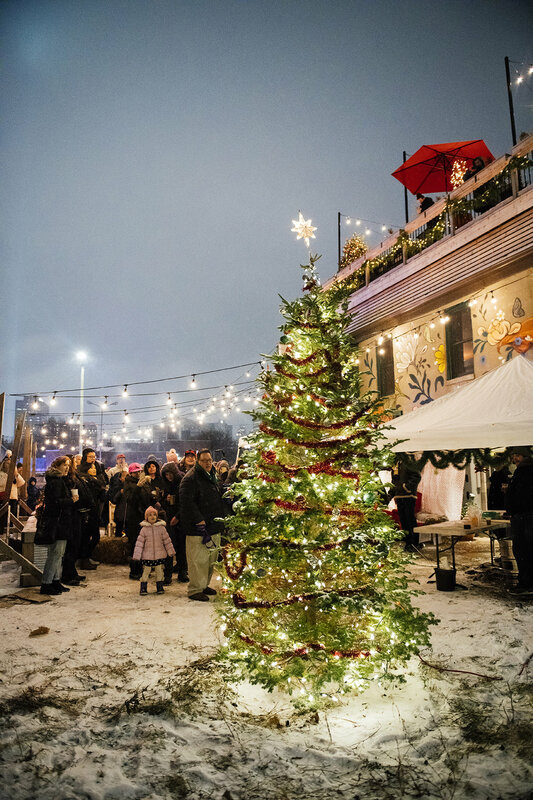 Corktown Aglow is an annual day-long holiday Corktown Business Association event presented by ford motor company and powered by countless Corktown small businesses and volunteers. 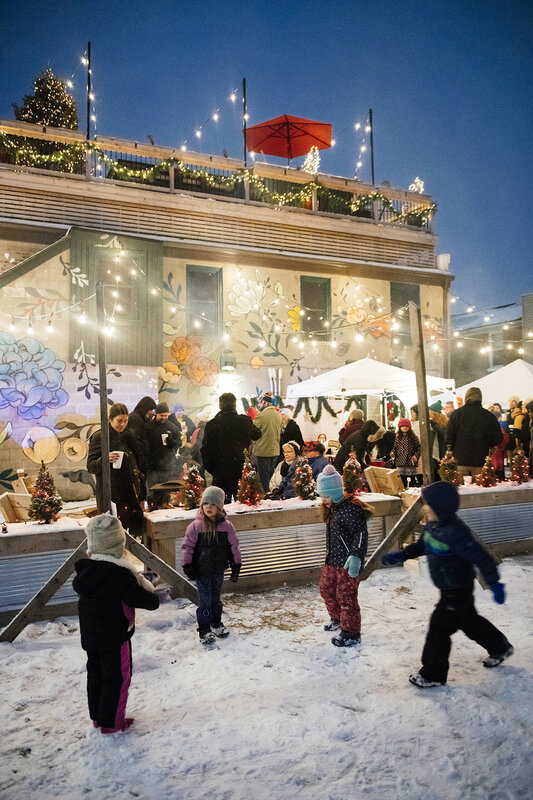 It’s a family friendly day filled with community spirit, Corktown history, a handful of falling snowflakes, a dash of holiday magic, and lots of free fun. 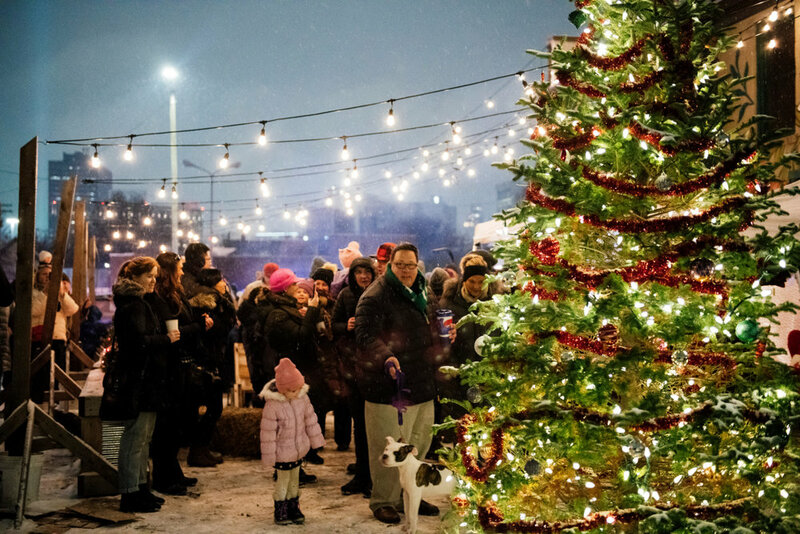 Seeing so many people of all ages come together to participate in the Corktown Aglow festivities truly makes it a Detroit holiday event not to be missed. We’re looking forward to spending this holiday season with you in Detroit’s oldest neighborhood. 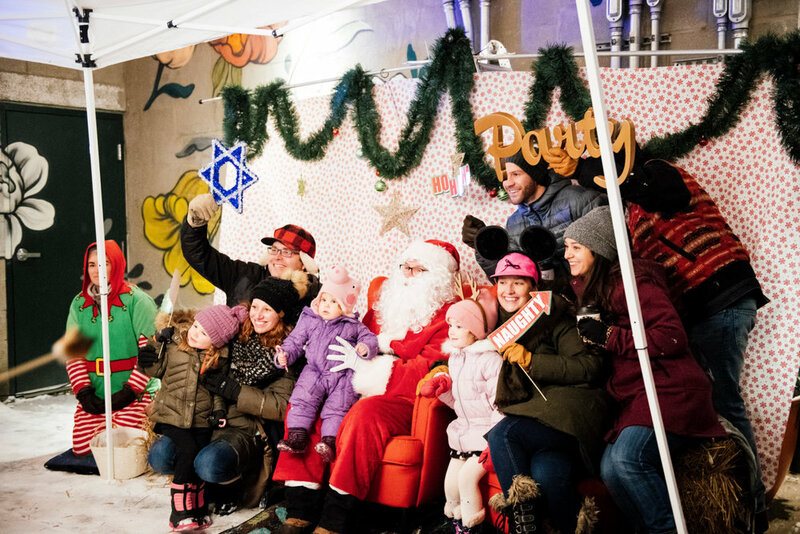 The Corktown Business community is dedicated to making sure our neighbors in need have a happy and warm holiday season. We’ve partnered with the Detroit Police Department again this year to ‘Stuff a Cop Car’ full of donated items that will be delivered to families within our community. Be one of the first 200 people to shop at participating stores in Corktown and take a Corktown Aglow tote home with you free! 5 stickers in a row and you’ve got a bingo! Bring your winning card to The Farmer’s Hand before 6pm on Corktown Aglow and win amazing prizes donated by our Corktown businesses & neighbors (until supplies lasts). Some prizes include: Red Wings tickets in the Rehmann’s Club, dinner for two at Iridescence and a one night stay at Motor City Casino Hotel, a night stay at Trumbull + Porter, DCFC game tickets + scarf, a $200 gift card to blackthesalon, and lots of gifts cards and other gifts from local Corktown businesses. Eldorado General Store / Spend $100 and get a $10 gift card to use in January. / Holiday Fundraiser supporting Detroit Prep and education equality in Detroit - 100% of proceeds for JOYCE candles ($15) and lip balms ($3) goes towards renovating an abandoned school in Pingree Park, Detroit. Good Stuff / Grand Opening Party! By donation - proceeds go towards future community events in Corktown. Suggested donation $10 a person. 1st Annual Corktown Historical Society Holiday Home Decorating Contest winner announcement. Make sure you get your vote in - pick your winner here. The Detroit Bus Co. will be shuttling people around Corktown and to Downtown’s Cadillac Square and Capitol Park for the holiday markets. Spaces will be open late and celebrating the holidays with you. And of course, our Corktown bars and restaurants are the perfect hangs to spend an evening with friends and family. or donating to Corktown Aglow? Thank you for the interest in Corktown Aglow! The Detroit Bus Co. will be shuttling people throughout Corktown and to Downtown’s Cadillac Square for the holiday markets. We have a number of free parking lots available throughout the corktown neighborhood. *Please be advised that some of these parking lots are unmonitored. As a good standard practice of parking in a large city like Detroit, we recommend not leaving any valuables in your car. Corktown Aglow + participating businesses are not responsible for any theft or damage to vehicles. Our neighborhood-wide events focus on highlighting our storied neighborhood history, our wonderful residents, the hardworking businesses, and community wins like new bike lanes, public art, and developments. Our first CBA sponsored event was founded in 2016 by Erin Gavle, owner of Eldorado General Store, stemming from this core idea; that creating spaces and experiences aimed at gathering people is a direct route to strengthening communities and the businesses within them. As Detroit continues to grow, this idea is key to the city and our neighborhood’s success. We have made community our purpose, having witnessed how it leads to positive change. 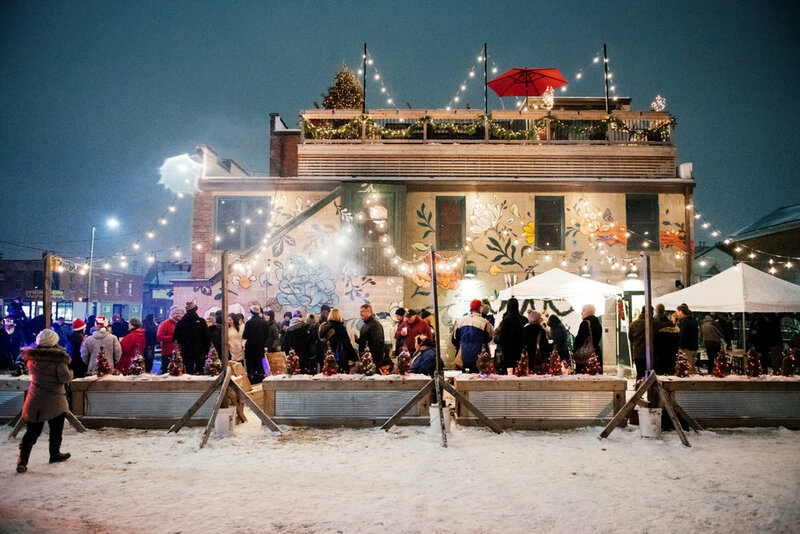 As independent business owners who are committed to the community, the Corktown Business Association felt compelled to create something that would bring our neighbors together to celebrate and say ‘Thank You’ to the community that supports us all year round. We also wanted the event to create opportunities to welcome new guests and visitors to our neighborhood, in hopes of changing the perceptions of our city and neighborhood in a positive way. IN THE SECOND YEAR, WE RECEIVED THE SPIRIT OF DETROIT AWARD. Presented by the City of Detroit for all the dedication and work the CBA does in engaging our community and for outstanding achievement and service to the citizens of Detroit.